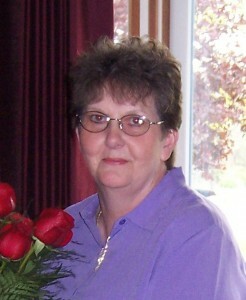 Denna L. “Dee” Gern, 62, of Clarendon, PA. died unexpectedly Friday afternoon, August 24, 2012 at Knox Community Hospital, Mt. Vernon, OH. She was born December 9, 1949 in Garland, PA. to the late Clemmer and Ruth Bean. She has resided most of her life in the Warren area. Dee was a graduate of Youngsville High School Class of 1967. After high school she worked at the Warren Dental Arts Hospital until she left to take time to raise her family. When returning to work, she was employed with the Warren Manor Nursing Home, Warren Senior Center and retired from Blair Corporation Customer Service Dept. Although retired she maintained her position as a Majority Inspector for the Pleasant Township voting polls. She was a member of the Warren Eagles Club. The one thing that she enjoyed in all of her jobs, was the ability to help others. She enjoyed being outdoors, planting and keeping up with her flowers and even enjoyed mowing the yard and running the weed trimmer. She loved spending time with her husband while camping at Trap Shoots and short vacations as long as they did not keep her from her grandchildren too long. Anyone who knew her, recognized her unique sense of humor and ability to make even strangers smile or blush. If she was picking on you, it was because she liked you. Above all else, Dee loved spending time with her sons and their families, especially her grandchildren. She would make her grandkids smile and laugh by taking them for rides in her golf cart, reading stories to them, having them help in the kitchen and by loving them with all of her heart. She is survived by her husband of 41 years, Charles “Chuck” G. Gern whom she married November 7, 1970 in Youngsville, PA., 3 Sons – Charles V. Gern and wife, Jessica, Bradley A. Gern and wife, Nicole all of Warren, PA., Kevin M. Gern and wife, Beth of Hershey, PA., her mother-in-law, Dazeglia “Dazi” N. Gern of Warren, PA., 5 Grandchildren – Corinn A. Gern, Tyler L. Gern, Devon Bosko, Braden Gern and Carter C. Gern. 6 Brothers – Bruce, Dallas, John, Jeff, Doyle and Dale Bean, and also 4 Sisters. Several nieces and nephews also survive. Our Hearts, Prayers and Thoughts are with all of your Families. hearts, thoughts, and prayers. Please let us know if there is anything we can do at this sad time. Dear Chuck & Family, We were so sorry to hear of the unexpected passing of DeeDee. The few times we were able to visit, she made us welcome and comfortable. Uncle Don & Aunt Margaret really liked her. She was a perfect match for you. Please know how sad we feel for you and your family. Wish we could be there for you but know you are in our hearts. Love & Hugs to all. I am so sorry to hear of the shocking loss of Dee, I worked with her at Blair and what a wonderful pleasure and honor it was to know and meet her, she was a wonderful individual. My thoughts and prayers are with each one of you during this tragic time. We send our loving thoughts your way. Dee was such a lovely lady, welcoming us as family whenever we got a chance to visit. May you find moments of comfort in your loss as your friends and family surround you.